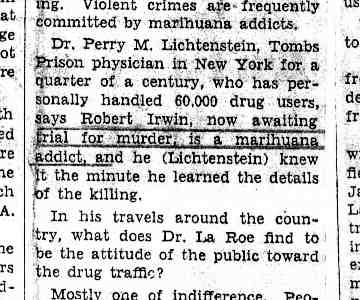 Please ascertain if possible whether or not Irwin was a marihuana addict, how long he had been using the drug, etc., and lot me have a report. 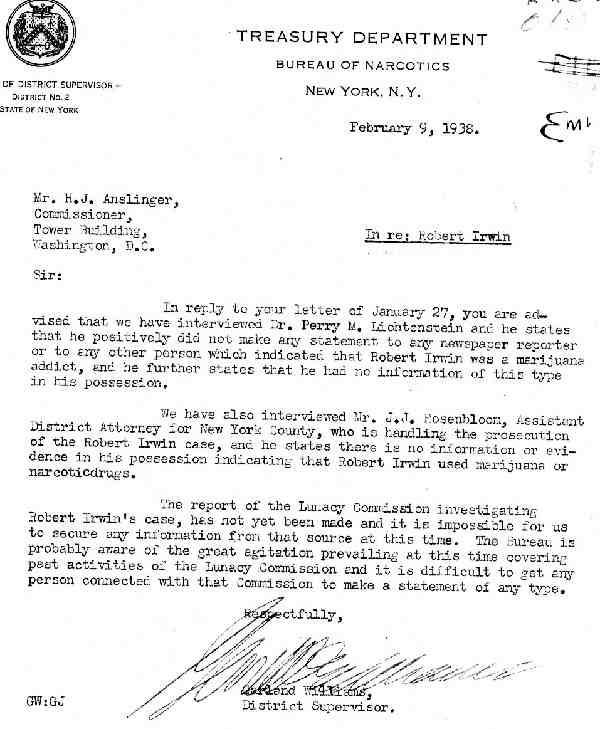 In reply to your letter of January 27, you are advised that we have interviewed Dr. Perry M. Lichtenstein and he states that he positively did not make any statement to any newspaper reporter or to any other person which indicated that Robert Irwin was a addict, and he further states that he had no information of this type in his possession. 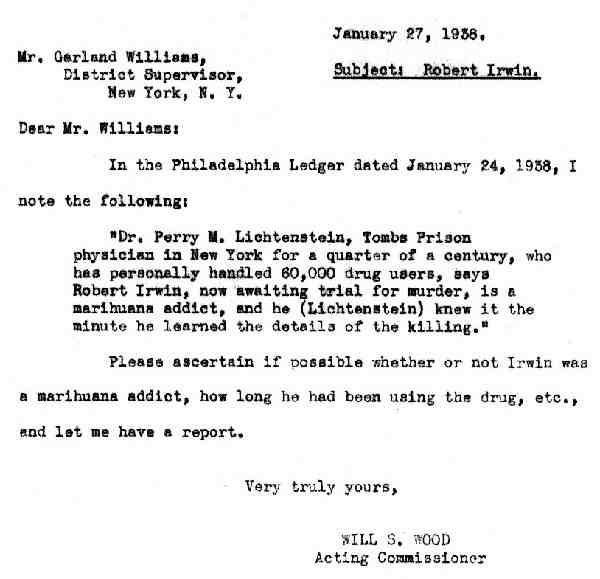 We have also interviewed Mr. J.J. Rosenbloom, Assistant District Attorney for New York County, who is handling the prosecution of the Robert Irwin case, and he states there is no information or evidence in his possession indicating that Robert Irwin used marijuana or narcotic drugs. The report of the Lunacy Commission investigating Robert Irwin’s case, has not yet been made and it is impossible for us to secure any information from that source at this time. The Bureau is probably aware of the great agitation prevailing at this time covering past activities of the Lunacy Commission it is difficult to get any person connected with that Commission to make a statement of any type.